[119 Pages Report] The oryzenin market stood at USD 79.36 million in 2015; it is projected to grow at a CAGR of 14.5% from 2016, to reach USD 198.25 million by 2022. The base year considered for the study is 2015 and the forecast period is from 2016 to 2022. The main objective of the report is to define, segment, and project the global market size for oryzenin on the basis of type, application, form, and region. It also helps to understand the structure of the oryzenin market by identifying its various segments. The other objectives include analyzing the opportunities in the market for stakeholders and providing a competitive landscape of market trends, analyzing the macro- and micro-indicators of this market, and projecting the size of the oryzenin market and its submarkets, in terms of value as well as volume. This report includes estimations of the market size in terms of value (USD million) and volume (tons). Both, the top-down and bottom-up approaches have been used to estimate and validate the size of the oryzenin market and to estimate the size of various other dependent submarkets in the overall market. The key players in the market have been identified through secondary research; some of these sources are press releases, paid databases such as Factiva and Bloomberg, annual reports, and financial journals; their market shares in respective regions have also been determined through primary and secondary research. All percentage shares, splits, and breakdowns have been determined using secondary sources and verified through primary sources. The figure below shows the breakdown of profiles of industry experts that participated in the primary discussions. Key participants in the oryzenin market are manufacturers, oryzenin manufacturers, distributors & suppliers, associations and industry bodies, and end users. The key players profiled include Axiom Foods, Inc. (US), AIDP Inc. (US), RiceBran Technologies (US), Kerry Group plc (Ireland), and BENEO GmbH (Germany). The other players of the oryzenin market are Ribus, Inc. (US), Green Labs LLC (US), Golden Grain Group Limited (China), Shaanxi Fuheng (FH) Biotechnology Co., Ltd. (China), and Bioway (Xi’an) Organic Ingredients Co., Ltd. (China). 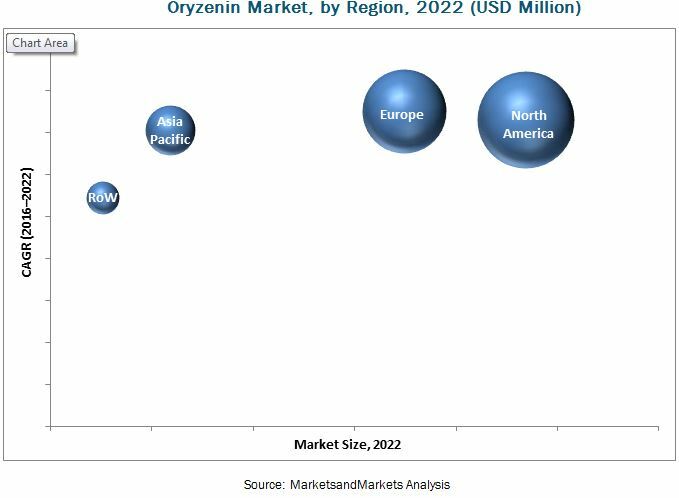 The oryzenin market is projected to grow at a CAGR of 14.5%, to reach a value of USD 198.25 million by 2022 from an estimated USD 88.19 million in 2016. Oryzenin, a rice glutelin, is an important constituent of rice protein. Glutelin comprises the major protein fraction of the rice grain and constitutes up to 80% of the total protein. The global market is estimated at USD 88.2 million in 2016 and is projected to reach USD 198.2 million by 2022, at a CAGR of 14.5% during the forecast period. The primary factors that drive the oryzenin market are the functional properties of rice protein and growth in the consumption of plant protein. On the basis of application, the oryzenin market was led by sports & energy nutrition, followed by beverages, in 2015. Sports & energy nutrition was the leading segment, owing to the increase in the consumption of sports & energy drinks due to the trend of healthy living among consumers. The application of oryzenin in sports & energy nutrition is attributed to its high amino acid profile and branched chain amino acids (BCAAs), which are essential for athletes and bodybuilders for muscle recovery. Oryzenin increased lean body mass skeletal muscle hypertrophy, power, and strength similar to whey protein. This segment has potential for growth in the near future, with increasing application of oryzenin as a nutrition enhancer in food products. On the basis of form, the dry segment accounted for a larger market share in 2015. The dry form dominated the oryzenin market as it is easy to handle and can be transported easily with lower expenses, which has increased the demand for dry oryzenin powder. In addition, the liquid form needs further processing to be extracted from the dry form, thus increasing the investment. The North American region accounted for the major market share for oryzenin between 2016 and 2022. The rise in demand for processed food & beverage products and various nutraceutical products in the North American region is driving the oryzenin market, as it provides all the essential amino acids. The increase in the application of plant-based proteins in nutraceuticals, food & beverages, and health supplements is projected to fuel the market growth for oryzenin in the next few years. The major restraints in the oryzenin market are the low consumer awareness about oryzenin proteins and limited R&D activity, with the market for oryzenin being in the nascent stage of development. The global oryzenin market is highly fragmented, with a few multinational companies accounting for a majority share and the rest operating in an unorganized market. 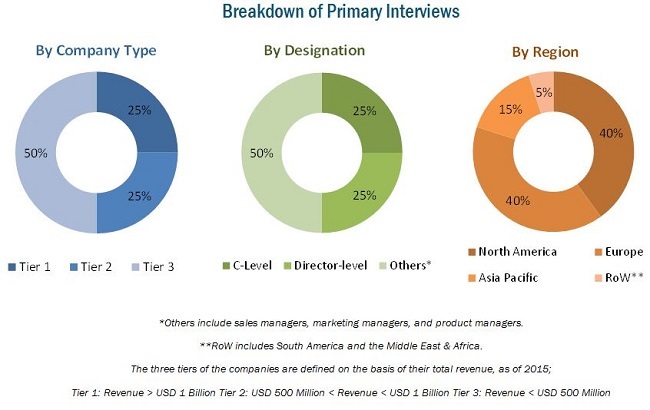 The oryzenin market in developed countries is projected to witness a huge growth in demand with the increasing awareness toward plant protein and growing product availability and applications. The key players in the oryzenin market are Axiom Foods, Inc. (US), AIDP Inc. (US), RiceBran Technologies (US), Kerry Group plc (Ireland), and BENEO GmbH (Germany). The other players of the oryzenin market are Ribus, Inc. (US), Green Labs LLC (US), Golden Grain Group Limited (China), Shaanxi Fuheng (FH) Biotechnology Co., Ltd. (China), and Bioway (Xi’an) Organic Ingredients Co., Ltd. (China). 12.11 Bioway (XI'an) Organic Ingredients Co., Ltd.